Ultherapy® uses an ultrasound wave to lift, tighten and tone skin. Ultherapy® is a the only, non-surgical, FDA-approved treatment for lifting, tightening and toning skin on the neck, under the chin and brow. As we age, the collagen in our skin weakens and elastin starts to break down, causing the skin to become more lax. ​Ultherapy® bypasses the surface of the skin and works by penetrating deep below it’s surface to regenerate collagen non-invasively. ​Ultherapy® is an in-office treatment that takes between one to two hours depending on areas being treated and requires no down-time. ​One Ultherapy® treatment will leave you feeling gentle tightening and toning. As your body produces lost collagen and elastin your skin will continue to see results for three to six months and results lasting up to three years. Marc L. Epstein M.D. is one of the first practices in Westchester County, New York and Fairfield County, Connecticut to specialize in the newest treatment to fight aging. ​Ultherapy®. Dr. Epstein, MD has practiced medicine for 30 years and is renowned for his artistic eye, gentle touch and expert skill to achieve outstanding results using Ultherapy® and other anti-aging treatments. ​Depending on your needs, Ultherapy® can be used alone or in conjunction with dermal fillers such as Radiesse®, Resytlane®, Juvederm® or Perlane® and neuro-inhibitors like Dysport® and Botox®. Ultherapy® is the only FDA approved, non-surgical anti-aging treatment that lifts, tightens and tones skin on face, under chin and neck. Ultherapy® naturally regenerates collagen and elastin to provide a refreshed more youthful appearance. 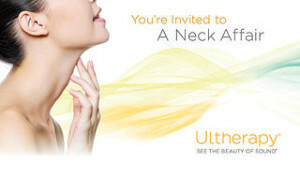 Ultherapy® is an in-office treatment that is non-invasive and requires no down time.